So it's an application of PCA to the observed solar magnetic field since 1979 which is then extrapolated backwards and forwards to hindcast and forecast solar activity over 1000s of years. There isn't a single mention of climate. I've got no idea whether there's any merit to it, but it's a good theory in the sense that we won't have to wait long to see if it fails. The solar flux is creeping up a bit but at least we are still spotless. A small spot formed in the NH yesterday. It's still there right now, but I'd say it's fading as we speak (comparing the midnight snapshot with the current). Not at all, it's normal. All the forecasts I have seen so far have been for SC25 to be about the same or slightly weaker than SC24 (including the one posted yesterday from Hathaway). End of 2019-2020 should be the rock bottom of this solar minimum I’d say, as 2009 had the most spotless days during last minimum. Getting déjà vu here as I’m sure we had the same conversations going on when we had the last reverse polarity spot a few months ago. 10.7 cm flux: 70 sfu. Really bizarre that Boulder hasn’t counted this since it’s still visible even now. Very strong solar wind buffeting Earth, wonder if the models now homing in on a powerful Scandi HP is a result of this. 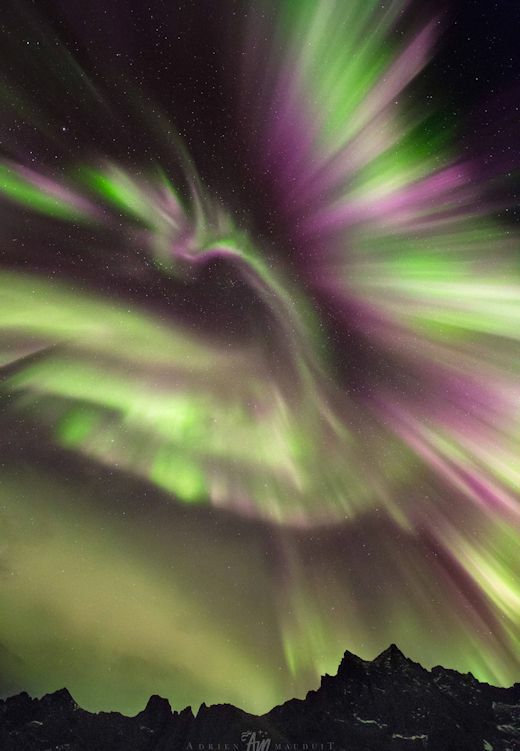 AN OUTBURST OF RAINBOW-COLOURED AURORAS: Northern lights are often green, sometimes red, and rarely pink or blue. 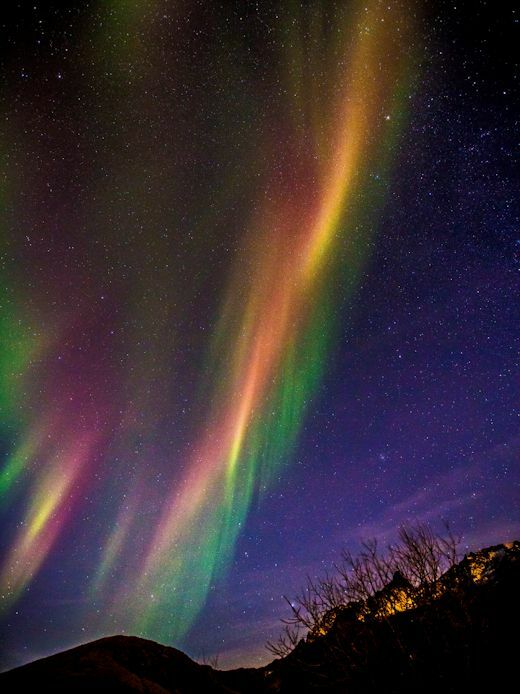 On Nov. 19th, an outburst of Northern Lights over Tromsø, Norway, painted the sky with all the colours of the rainbow. Hopefully we can get to 200 before another spot appears.